Social gaming firm Zynga plans to cut 520 jobs in the face of greater losses than previously estimated. Earlier this year, the Farmville producer projected a loss of between $26.5m and $36.5m in the second quarter of 2013, but now expects to make a loss of between $28.5m and $39m. “While our Farmville franchise continues to perform well, other games are underperforming,” the company stated. The 18% reduction in staff comes on top of a previous 5% cut to the workforce seven months ago. Together with some office closures, the move is expected to save up to $80m in annual costs. The cuts are being justified as a way to capitalise on the growth of mobile devices and touchscreens that “are revolutionising gaming”, according to Zynga chief executive Mark Pincus. "By reducing our cost structure today, we will offer our teams the runway they need to take risks and develop these breakthrough new social experiences,'' he wrote in a blog post. But analysts have said that cutting costs is not enough to boost investor confidence and that Zynga needs to find a way to increase revenues, according to the BBC. 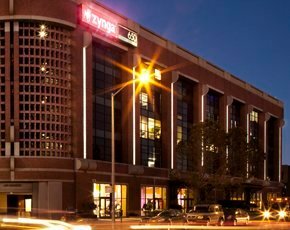 News of the latest round of staff cuts resulted in a sharp decline in Zynga shares, and trading in its stock was halted twice on the Nasdaq stock exchange on 3 June. Zynga shares closed at $2.99 on 3 June, down 12% on the day and nearly 50% lower than the same time last year.